How would you go about changing the meaning of a word? Well, it happens all the time. We redefine words by using them differently than they have traditionally been used. Most often I think of it happening with technology. American Express’ OPENForum.com featured a list of 11 Ordinary Words That Have New Meaning in Social Media. 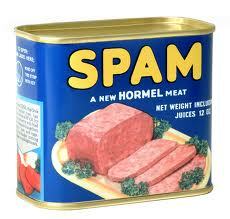 “Spam”, to someone from the WWII generation is a can of compressed mystery meat. Not only that, they’ve actually eaten it. Today, “spam” is unsolicited email, IM, tweets, etc. A “friend” always has been an ally, a supporter, someone we would regard with affection and trust – someone who had my back. Today it’s someone I may not even know very well but we’re connected on Facebook. Now it’s even a verb meaning to add this stranger to a list of people with whom I’m connected on Facebook. To “stumble” was to misstep, now it is to discover, recommend and rate web pages, photos and videos on the personal recommendation engine StumbleUpon. More nouns which have undergone a “meaning – full” facelift are mouse, feed, tweet and status. These verbs as well have undergone a change due to technology: click, swipe, stream, check-in, poke, tag and pin. Technology has done its part in redefining the English language, but what about the focused redefinition of a word that is a key to an argument, to reasoning or to the battle of world views? What about the changing of the meaning of a word strategically in order to win the argument, the reasoning or the battle of world views? Is there a focused strategy in play? Absolutely, I believe there is. Change the meaning of words. Take a current word and stretch or constrain its meaning. Apply it to new contexts. Assert it as truth. As appropriate, define the meaning explicitly. Challenge the meaning of words used by others. When they use a word for a particular effect, challenge their use of the word. Reach for the dictionary. Assert a wider, smaller or different meaning. If you can control the meaning of words, you have control over the meaning of the whole conversation. 1. A disbelief in the existence of deity. 2. The doctrine [teaching] that there is no deity. No one asks this question enough. The reason no one asks this question a lot is because most people have preconceived ideas and notions about what an Atheist is and is not. Where these preconceived ideas come from varies, but they tend to evolve from theistic influences or other sources. Why should atheists allow theists to define who atheists are? Do other minorities allow the majority to define their character, views, and opinions? No, they do not. So why does everyone expect atheists to lie down and accept the definition placed upon them by the world’s theists? Atheists will define themselves. This characterization of atheism allows those trying to win the world view debate to argue from a redefined set of ideas – a vantage point of their own choosing. They’ve rigged the fight; the fix is in, so to speak. Original blog post: Brainwashed (title of a very short post). For the indoctrinated, it is not enough to merely consider alternative views. To arrive at a truly objective position on the matter, they must actively resist their instinct. My comment: Was it your intention to comment on the indoctrinated atheist? 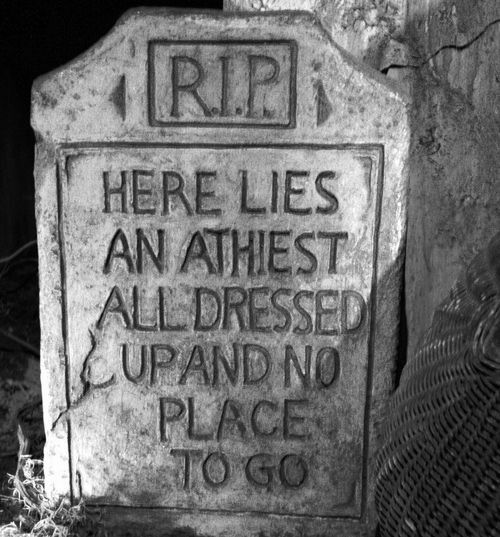 Blogger’s response: Atheism is the absence of belief in any particular theistic god. When a child is born, before it is exposed to theistic ideas, it is an atheist. This requires no indoctrination. My reply: The belief that there is no god is indeed indoctrination, just as the belief in God is. Your definition of “atheism” is disingenuous. Blogger’s response: True. Claiming to know there is no god is as ridiculous as claiming to know there is one. If “Theist” means to “believe in an intervening God” and the prefix “a” means “not”, the word “Atheist” simply means to “not believe in an intervening god”. Lacking the belief that god exists and believing that he certainly does not exist, are two very different things. How am I being disingenuous? My reply: Your definition is disingenuous. Oxford, Dictionary.com, Webster all define atheism as the disbelief. Your definition is from the American Atheists and is convenient for the argument you wanted to make about a child born without indoctrination. Disingenuous. Blogger’s response: Judging by the Oxford Dictionary “disbelief” means the same thing as the term I used, “absence [sic] of belief”. Does it not? My reply: It is you that is making the distinction in definitions and there isn’t one. You did so in order to lay a foundation for the absurd statement that a newborn child is an atheist. You are attempting to color atheism as a natural state of mind and not as the product of indoctrination. The only way you can do this is to redefine what an atheist is by twisting the meaning of the word to suit you and then manufacture a context in which you can present the distorted result. The trouble is, only an undisciplined thinker buys into it.